A perspective on virtual micro-entrepreneurship in Second Life® (www.secondlife.com) and other topics. How Much Is That Pixel in the Window? The currency used in Second Life is Linden dollars (L$), which you can purchase at approximately 265L$/US$. And you can buy pretty much anything you would need inworld. And more. * For the same reason people purchase entertainment software. Just because it's virtual doesn't mean it's unreal. It *is* as real as any other software; it's just intangible. * For the same reason people purchase digital art. A lot of these items, particularly the virtual art pieces, are visually satisfying. It's food for the soul. It expresses something. * For the same reason people purchase designer clothing and accessories. 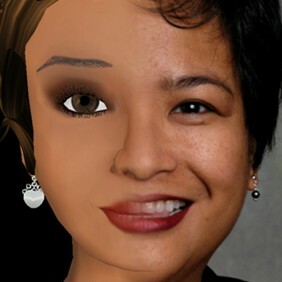 People who care about their appearance in the real world still care about how they look -- or how their avatars look -- in the virtual world. After all, their avatars represent them. * For the same reason people pay to watch movies or any fictional work. Even though the stimuli is virtual, the core experience is still real and the emotions are still real. But because of the the interactivity in Second Life, a greater part of the experience is real. Friendships and other relationships are still real. All interactions are still real. I suspect that the brain still records aspects of it as a real experience. So, there *is* value in these virtual items. There is value in the time that skilled artists, musicians, scripters, and builders put in to create these items. There is value in their creativity and ingenuity. There is value in their efforts to market them. The great thing about manufacturing virtual merchandise is the same benefit software publishers enjoy -- practically nil incremental costs. There is no additional cost to sell a second -- or third, or fourth, or fifth -- copy of that virtual gown. Yes, there are still marketing costs and rental expenses, but no additional manufacturing costs. Do creators recover their costs in creating these virtual items? Some do, but most don't. Second Life attracts a lot of artists and techies. The competition is fierce. As in real life, the more skillful the creator, the better they fare. Second Life (www.secondlife.com) is not a game. It has been categorized with MMORPGs or massively multi-player online roleplaying games, but it is not one. It is massive, it is multi-player, it is online. But it is not necessarily roleplaying, although it has that. And it is not itself a game, although it contains many games. SL is, technically speaking, a virtual reality environment. Instead of calling it a game, some people have referred to it as a platform, a tool, a virtual space, a parallel universe. Someone even jokingly referred to it as a country. But conceptually, what SL is depends what a person brings in-world and expects to get out of it. And the range of those skills and expectations are as diverse as the people in it. This blog is a study of the world inside Second Life, specifically the business world and what I learn about it. It is a study of the industries that are coming into SL from the real world, and the industries that are emerging exclusively inside SL. At the same time, this blog is also a study of the people who inhabit Second Life, who they are as consumers and as providers. One thing is certain, however: Second Life is a phenomenon. This virtual business world has the potential to dramatically change the real business world. © 2007-2013 Eleanor Tesoro. All rights reserved. All company names and product names mentioned in this blog are copyrights/trademarks of their respective entities. Experienced Second Life™ content creator and micro-entrepreneur. Author of (www.LoveLikeDimSum) on virtual world relationships.